One of a kind private country estate on Hilton Head Island. This property is nestled on 5.27 acres w/1.10 upland & long-tidal marsh & intracoastal views. The main house, designed & built by the owners, has 4,017 sq ft, 3 bedrooms; his & her Master Baths; plus l -1/2 baths. Spacious Kitchen that opens to large dining area & flows into the Great Room. There are cozy front & back porches. Connected by the 561 sq. ft. breezeway w/BBQ & Wood-burning fireplace which is the 984 sq. ft. guest cottage w/2 bedrooms, mini Kitchen, full bath, fireplace & washer/dryer. The 3-car garage has a 624 sq. ft. bonus room above & 1/2 bath below. This custom built home is situated on almost a full acre with a view of the marsh and tidal water. Actual heated square footage is over 5000 and includes a mother-in-law apt on the ground floor with a kitchen and full bath. Other features include 1st floor master, office, gourmet eat-in-kitchen, family room with fireplace, living room, dining room, screened porch, large deck, 2.5 car garage and a private dock. OSCREA. Striking custom 4 bed, 4 bath former model home built for entertaining w/a great floor plan! Inviting entry leads to an open living room w/fireplace, adjacent formal dining room & magnificent cooks kitchen w/center island, stainless steel/granite, dining nook w/bay windows. Loads of quality w/many custom builtins, walk in pantry, moldings, doors & quality solid core upgrades throughout. Including 2x6 construction, paver stone driveway, privacy fence. Gracious Master suite w/sitting area+walk in closet, oversized 3 car garage w/storage room, +the best outdoor entertaining area w/fire pit & private yard. Great neighborhood w/loads of amenities! High quality, BRAND NEW 2019 home just completed that looks out to serene views of the marsh & its wildlife. Private Shear Water community docks for fishing, kayaking or tying up a boat are just steps away. Appox. 3000 sqft. 4 BR /4.5 BA home includes solid walnut hardwood flooring, commercial stainless appliances, 2 masters, 2 laundry rooms, & a garage-level storage area next to the 3-stop elevator. Kitchen & bathrooms feature high end cabinetry w/ soft closing drawers, Quartz countertops & custom tile w/ stone accents. Multiple porches on all levels, including a screened porch, & an outdoor shower make indoor/outdoor living a breeze. Welcome to a true Southern home - surrounded by Palmettos with a view of a tranquil lake. Relax on the raised front entry deck or the deck off the master or rear decks or screen porch. Grilling will be fun on the covered ground level patio. In addition to the outdoor living at the house, Graham Lane has its own dock on Old House Creek - kayaking & fishing it is there for you. 32 Graham Lane has an over-sized garage, ground level activity room, elevator, heart pine floors, smooth ceilings, s/s appliances & granite tops in the great room main level, plus a den. The 3 bedrooms each have their own bath and access to a deck. A WOW! THIS LOT CAN BE DIVIDED INTO 4 LOTS OR REMAIN WHOLE FOR AN OUTSTANDING RESIDENTIAL HOMESITE. OWNER SAYS 'LETS MAKE A DEAL'. Best value for fabulous mile long marshfront views! This .42 acre lot is one of the premier lots in the community set near all amenities. The Paddocks on Jarvis Creek, a private waterfront community that homes cluster gracefully together in a true traditional family neighborhood. (73 homesites total) Walkways, Parks, community picnic areas, & porches encourage community interaction. Central Park sits nearby the Waterside community pool with Hot Tub features clubhouse & open air pavilion. Outdoor fireplace, as well as kayak & fishing Dock. Secure gated entry, adjacent equestrian facility plus private islands. 10 minutes to the Atlantic Ocean! Homesite with deep water and marsh views out to Calibogue Sound. 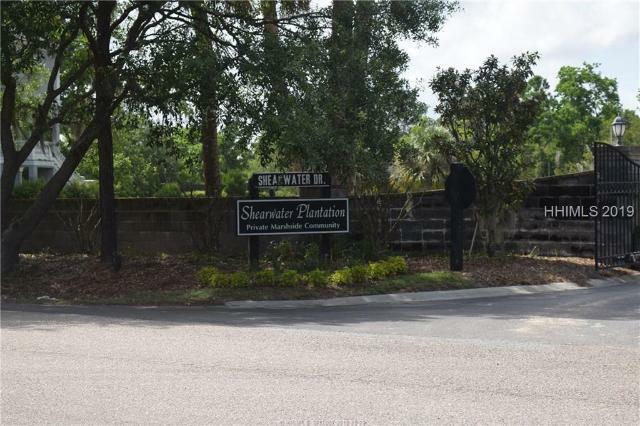 Shear water has a community dock that is great for fishing and crabbing. 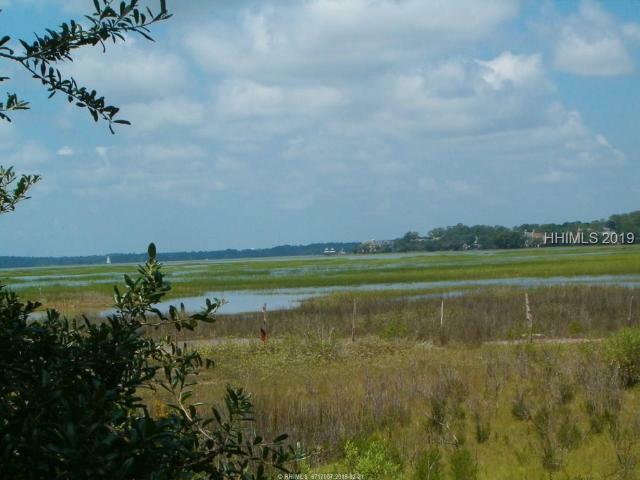 You will not find a better view on Hilton Head at this price. Waiting for you to build your dream home and enjoy the views and peacefulness. Breathtaking, panoramic views of the marshes of Jarvis Creek and beyond to deep water and Windmill Harbor. Watch the shrimp boats pass by! Marsh front lot located on a secluded, quiet cul-de-sac, in a beautiful, small gated subdivision. Two community docks on a tidal creek; one for fishing and the other for small boats and kayaks. Stables nearby. Perfect for your dream home or as an investment property. Great opportunity at this price. Owner is a SCREA. When boating along Calibogue Sound you may have seen it... the peninsula of land that rests between Spanish Wells and Windmill Harbour. At the right tide, take your kayak or boat down Old House Creek and you will soon be at the COMMUNITY DOCK of Graham Lane Plantation. This charming neighborhood is wonderfully tucked away on a remote section of land, and is surrounded by low-country beauty. Newer-style homes line the street and the vibe here is awesome. This (cul-de-sac) property is uniquely positioned to take full advantage of a REMARKABLE TIDAL MARSH VIEW... so unleash your imagination and create the home you have always dreamed about! With new homes all around, this is a great time to take a look at Shearwater Plantation off of Jonesville Road. Tidal marshes, freshwater wetlands, fishing dock and boat dock on Jarvis Creek create an incredible environment. This homesite has a fresh water lagoon in the back, and western sunset views in the front. Lot dimensions are 61'X 61'X 38'X 35'X 59', a total of 4,356 Sq Ft. The day boat dock and the fishing pier across Jonesville Road on Jarvis Creek are Shearwater Plantation Amenities. 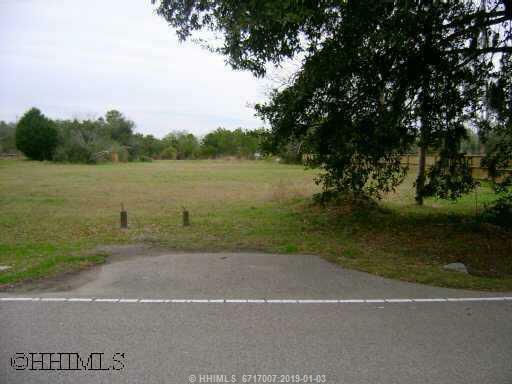 This beautiful lot in The Paddocks on Jarvis Creek in a well planned neighborhood. There are beautiful Palms & Moss draped Oaks trees that adorn this neighborhood. Enjoy the Hilton Head Lifestyle with miles of beautiful beaches, bicycle trails, paddle boarding, fishing, kayaking, swimming, tennis and more. Voted #1 best Beach in Travel & Leisure magazine. Enjoy the community pool or fireplace by the clubhouse. Build your dream home on Hilton Head Island! Horse stables nearby. Lot dimensions are 65' X 227' X 70' X 201. Great building lot. Backs up to woods and some pasture land. This is a hidden gem on Hilton Head. Enjoy the Pool, Firepit, Kayacking and all the neighborhood amenities. Wow, great building lot in The Paddocks On Jarvis Creek. This large .30 acre lot backs up to a green belt space. No alley garage required for this lot. Enjoy all of the amentities that The Paddocks has to offer including pool, clubhouse, fishing pond, leisure and horse trails and much more. Nature at its best here at The Paddocks On Jarvis Creek. Shearwater Plantation on Hilton Head Island, like living in the country on one of the most popular vacation destinations in the Country! What a great opportunity to grab a piece of paradise, at this still-too-low price, in a private gated community. Property residents at Shearwater share a boat dock as well as a fishing/crabbing dock on Jarvis Creek. This homesite sits at the private northern edge of the property, with an attractive tree cover in place. 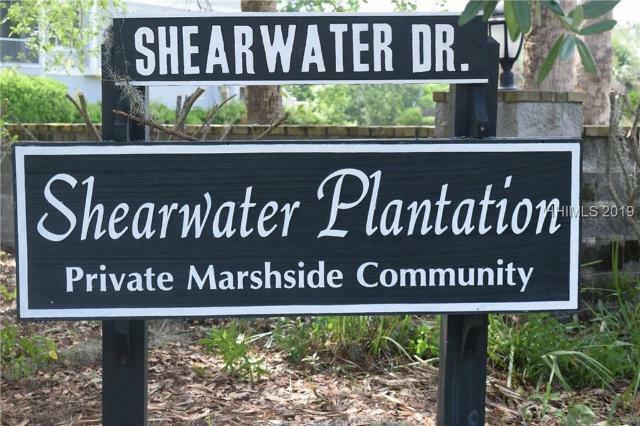 Shearwater Plantation, a private gated community near the end of Jonesville Road, a peninsula surrounded by tidal creeks, marsh breezes and stunning views. 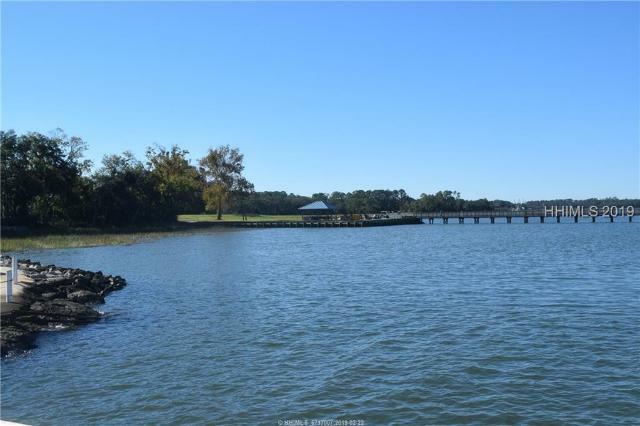 Enjoy the boat dock and the fishing/crabbing dock on Jarvis Creek. This fantastic homesite views the Creek and the marshes, and backs up to the Shearwater wall enclosure, for extra privacy! The Best kept secret on Hilton Head Island. The Paddocks on Jarvis Creek, a private waterfront community that homes cluster gracefully together in a true traditional family neighborhood. (73 homesites total) Walkways, Parks, community picnic areas, & porches encourage community interaction. Central Park sits nearby the Waterside community pool w/Hot Tub features clubhouse & open air pavilion. Outdoor fireplace, kayak & fishing Dock as well. Secure gated entry, adjacent equestrian facility + private islands. This homesite is one of 2 offered side by side perfect for an estate sized home. Owner Financing Available! No time frame for building.